POST is a STREET performance with no words suitable for all ages. 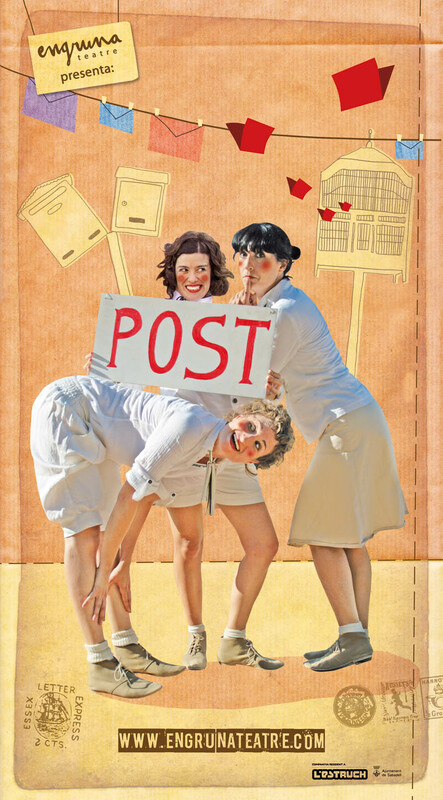 It is a story made of little stories, where three actresses will show us the magic behind postal communication by means of puppets, music and corporal theatre (masks, dance). The performance is a world full of letters, packages and mail boxes, where the audience will discover small stories full of humor and tenderness.